Sometimes the search isn’t easy! I am trying to find out just who Caleb Barnes was, not the name and date in a genealogy, but the man. How did he make a living and where did he live? Did he build his own house, where was it. 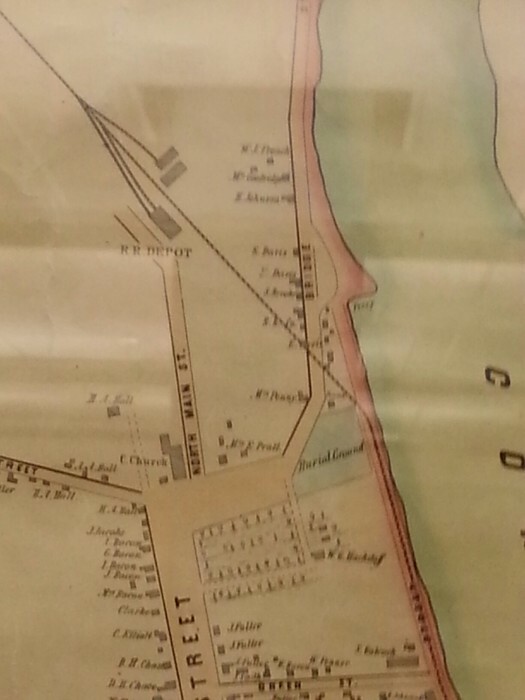 What were his ties to the Connecticut River that ran through Middletown, CT? Caleb was born in 1766 and died December 6, 1819. He is buried at the Washington St. Cemetery in Middletown Connecticut. The family line follows this path starting with me, Carolyn Marshall Stearns – my mother, Jessie Armstead Marshall- my Grandpa, George B. Armstead – James Benson Armstead – Elizabeth Story Armstead- Clarissa Barnes Story- Caleb Barnes. Now I need to spend time in Middletown Connecticut, luckily it’s not far! Russell Library has a research center called the Middletown Room with mountains of information! 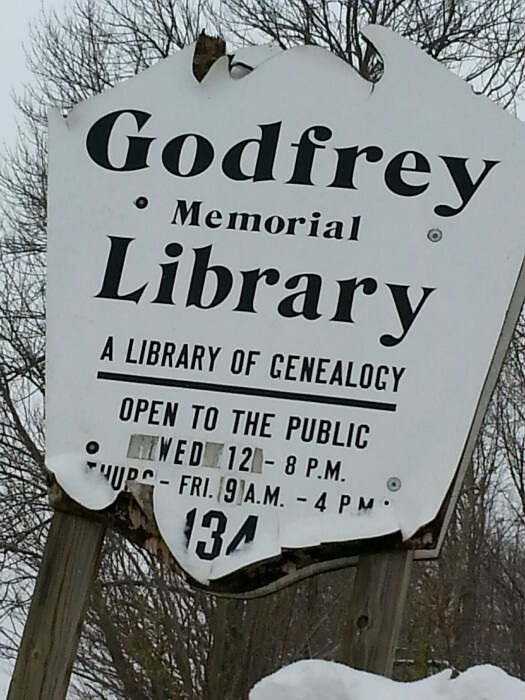 The helpful librarian I spoke with at Russell Library told me about the Godfrey Memorial Library, another great resource for developing family stories. they are at 134 Newfield St in Middletown CT. I stopped by briefly just to get my bearings, it was almost closing time and a snow storm was on my heals. I’ll be going back there soon! That is another great resource for family story research. I am on a trail that will tell many stories I am sure. I hope it helps you find your family story to share! Within the walls of the Middletown Room I might find some of my answers. Middletown and New Haven were the two cities of the family and of course the Connecticut River and a ship the means from one to the other. I know Clarissa Barnes Story was married to a ship captain – James Story. They had 12 children , Elizabeth being my family line. George Henry Story her brother the object of much of my previous research whose outcome is the storytelling CD ” George Henry Story – The Man Who Painted Lincoln”. I will see what I can find, there must be an interesting story there. The travel back and forth, is that how James and Clarissa met? Were the families old friends or business associates? I am curious what the path will reveal. When telling family stories it is good to ask WHY! I am focusing on family stories this year and it is a lesson in American history as well as immigration, ship building, art, architecture, business, trade and so much more. Already in my search I found that Caleb’s ancestor Mary Barnes wife of Thomas Barnes 1623-1691 was hung for witchcraft at Farmington CT. This was reported in the General Court Record of 1658, a time of great fear and misunderstanding. I know there is a story to be told there. If you are near Connecticut I am offering a workshop “My Roots Are Showing; Collecting and Telling Family Stories”. The workshop will be held March 8 with a snow date of March 15 in Storrs Connecticut. Contact me at carolyn@carolynstearnsstoryteller.com for information. The workshop is $50.00 and the performance afterwards of some of my family stories is $10.00 or both for $55.00.